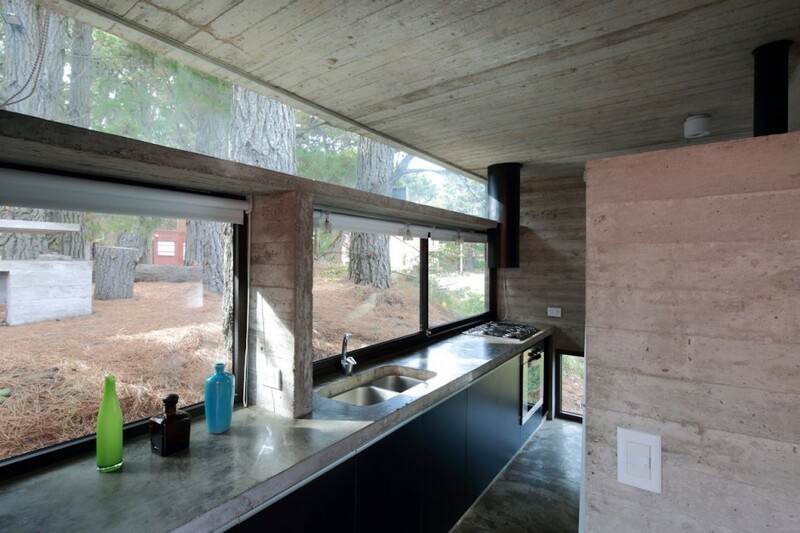 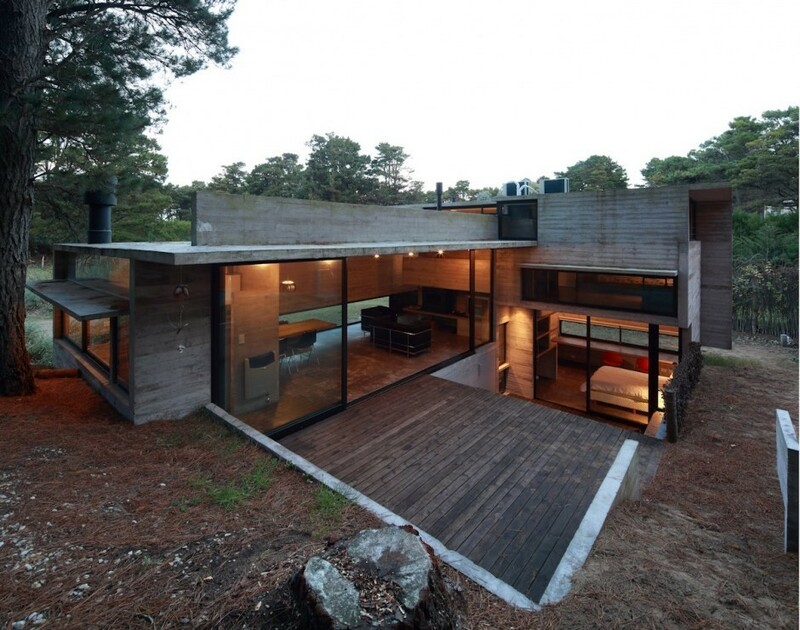 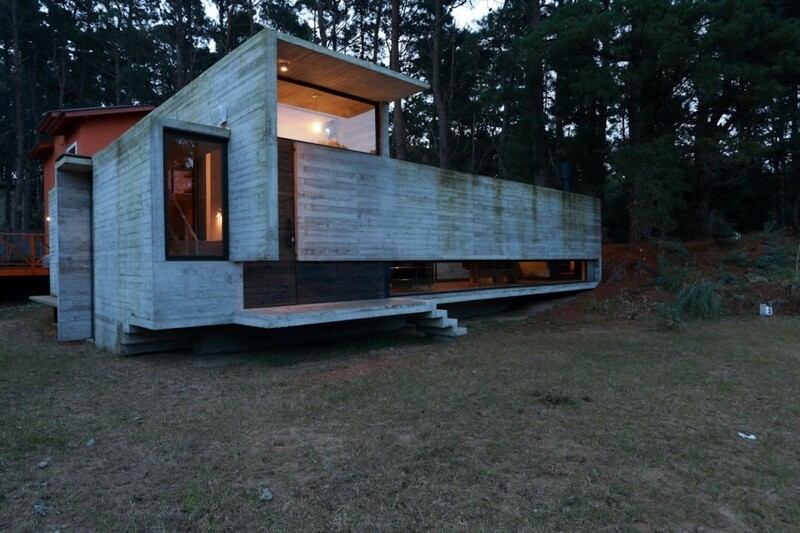 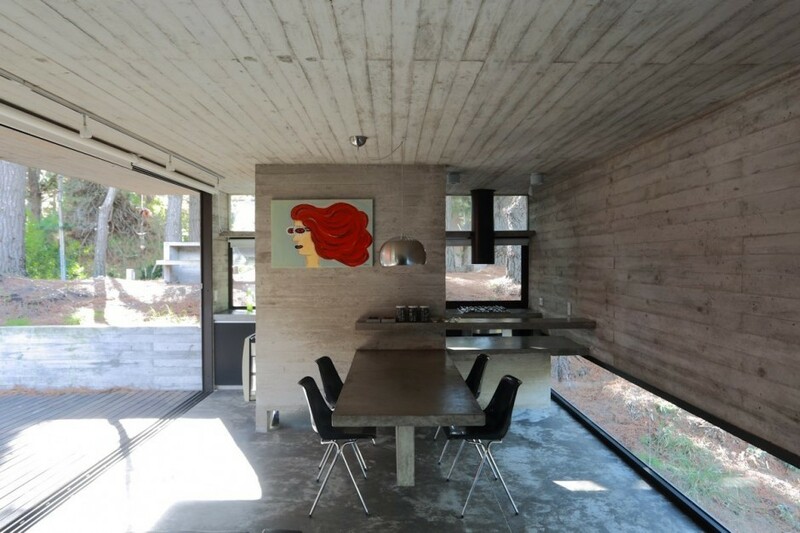 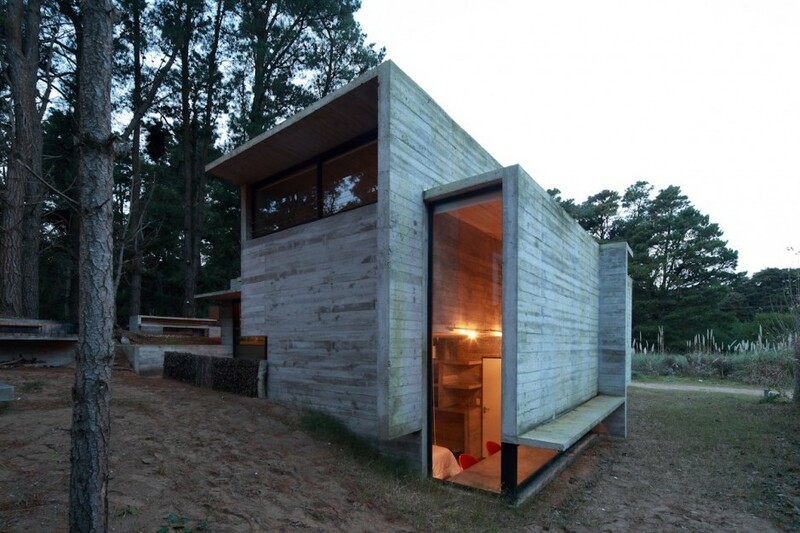 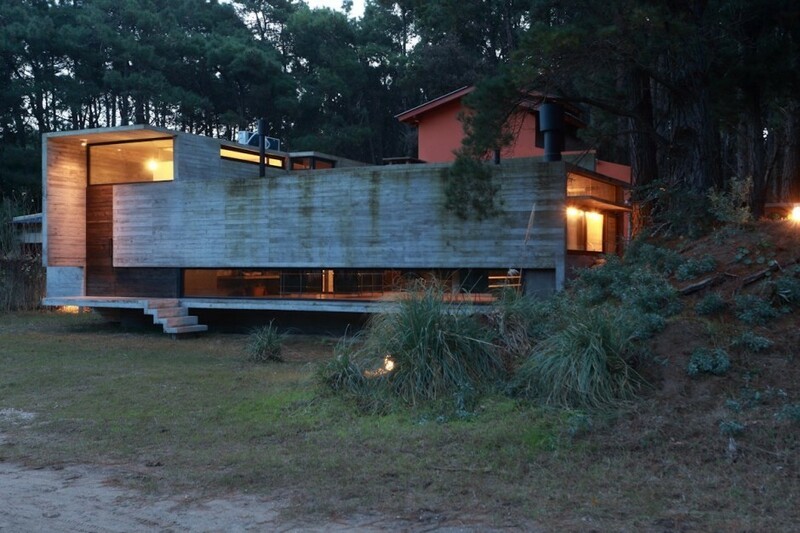 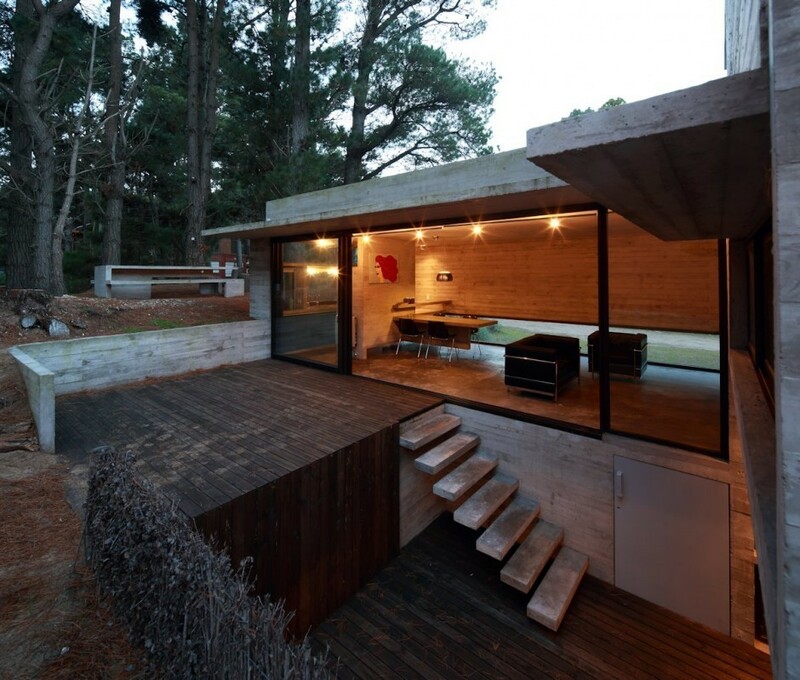 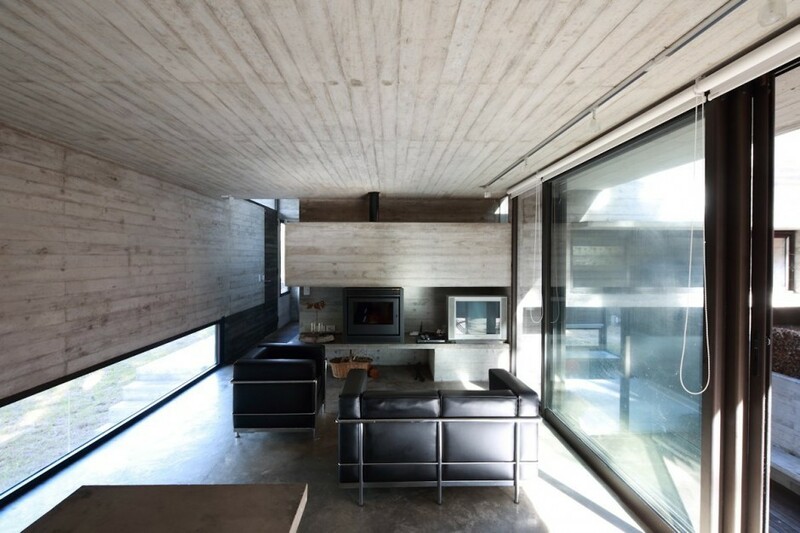 Argentine architecture firm BAK Arquitectos has created ‘Pedroso House’ as a small-scale dwelling located in the corner of a dense pine forest in Buenos Aires. 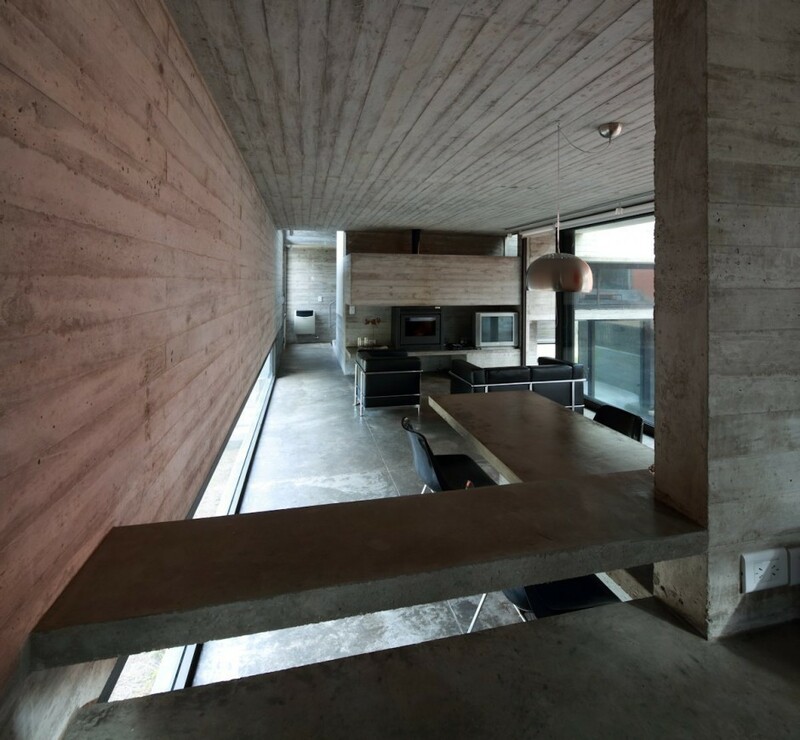 The structure bridges an abrupt difference in topography spanning 2.50 meters between the highest elevation and lowest. 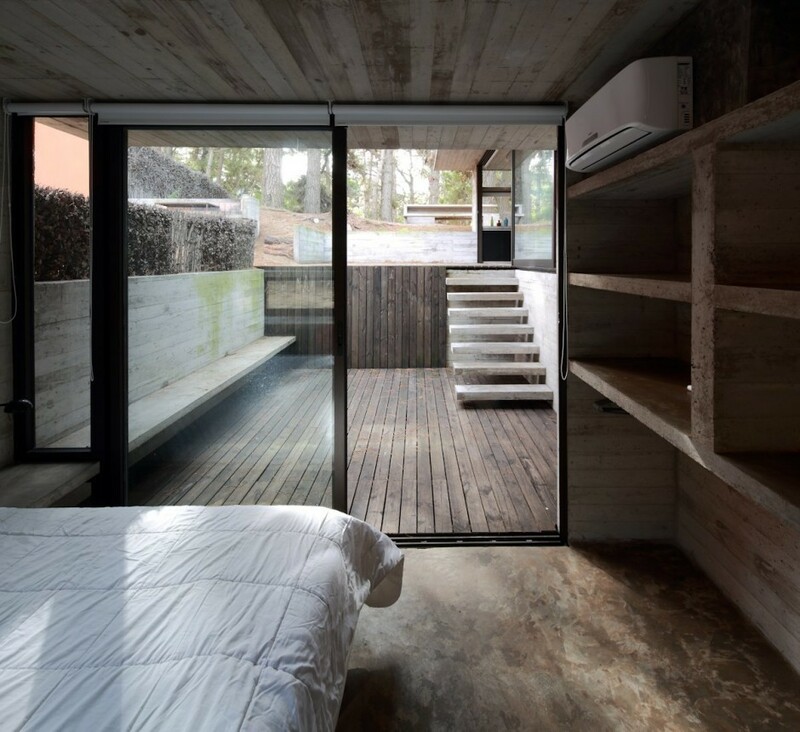 The dwelling has two bedrooms and is intended to be used primarily in the summer and occasionally during the year. 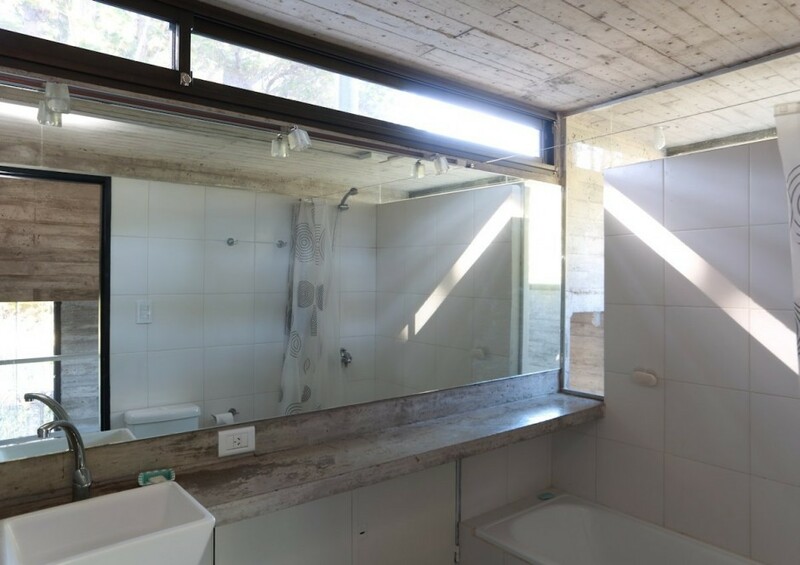 Besides the sleeping quarters, the project requires two baths with minimum measures and a generous common use space with integrated kitchen. 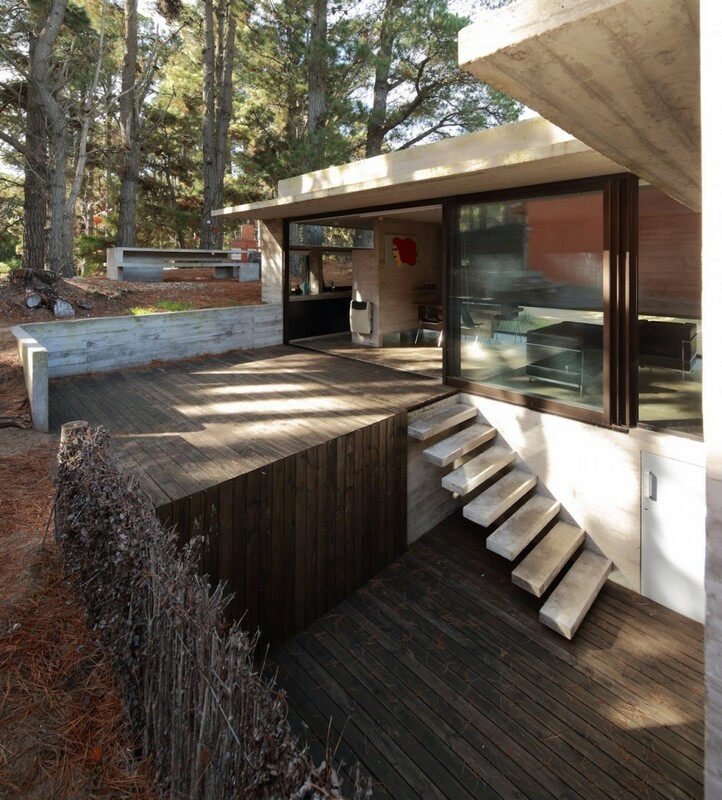 The importance of outdoors extensions was particularly emphasized, and includes a storage place to deposit various beach items.